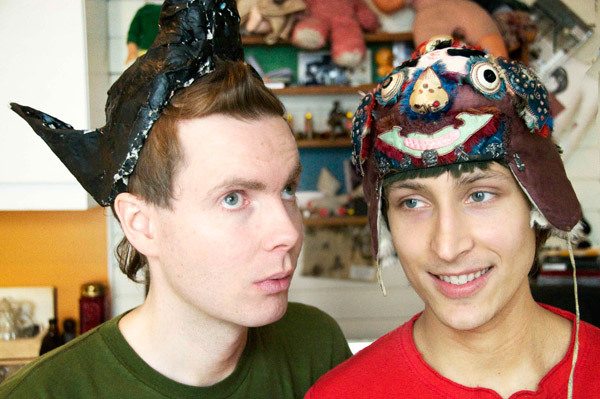 known primarily for his haunting falsetto and other-worldly presence as the singer in sigur r�s, jon thor (j�nsi) birgisson has - together with his partner alex somers - been exhibiting artwork and staging exhibitions under the name riceboy sleeps for two or three years now. a couple of months back the early fruits of the musical side of this collaboration surfaced in physical form for the first time, with the track �happiness�, on the exemplary �dark was the night� red hot compilation. among such company as antony hegarty, arcade fire, sufjan stevens and many more high and mighty names besides, it says something that j�nsi & alex�s sparse and haunting instrumental contribution was picked out by many people who-ought-to-know as the apex of the record � especially given that the track was neither finished nor mastered when the deadline came around. now, however, the full-length �riceboy sleeps� album (the name having migrated from artist moniker to album title) is finished and ready for release. and, as with �happiness�, it is set to subtly redefine expectations of slow and elegiac instrumental music in 2009. �riceboy sleeps� is human in a profound and verging-on spiritual way. it says nothing, literally, and yet living through its 68-minutes you emerge feeling much has been revealed. its slowly evolving abstract landscapes are both edifying and life-affirming. the record works as a whole, and exists in a contemplative dream-state, unconstrained and mesmeric, seemingly outside time. the record, however, is more active than its apparent antecedents in the ambient output of brian eno, and other deliberately low-impact works. �riceboy sleeps� is awash with both tension and stimuli, as well as being frequently, and stunningly, beautiful. a piece like �daniell in the sea� feels as natural as breathing, or more precisely like being able to breath fresh air after a long period spent in stagnant confinement. in fact both �daniell�� and �sleeping giant� appear to feature actual breathing, albeit through some kind of underwater respirator. this filtering function of making the world seem at once alien and as-new, is perhaps the strongest sensations to be derived from listening to �riceboy sleeps�. j�nsi & alex�s artwork has always been intoxicated with the notion of innocence (as in many ways is his work in sigur ros, although the only musical comparisons here would be with the band�s most blissed-out atmospheric songs), so it is perhaps not surprising that this washed-clean sensation should ring clear from this startling record. played solely on acoustic instruments in iceland (and featuring long-time string collaborators amiina, as well as the kopavogsdaetur choir) and then endlessly toyed with on solar-powered laptops in a raw food commune in some far corner of hawaii, �riceboy sleeps� has a suitably, uh, �organic feel� to it; the wave-like lapping of its tidal flow buried beneath analogue hiss, crackle, pulse and distortion; the creaking of rigging and sometime indeterminate falling delicately over; and, on �howl�, ruminative animal chirrups, grunts, snorts and purrs. sometimes it feels like a record coming back at you across the seas of time, with ancient washington phillips-style tumbling musical figures and stumbling crescendos as slow as a sunrise, or a weightless mantra-like choir singing from somewhere in the middle ages down the centuries. j�n ��r birgisson & alex somers - �riceboy sleeps� is set for release on emi on july 20th.